The Fallout 4 Creation Club is now in beta on PC, PlayStation 4, and Xbox One. Unfortunately, its launch doesn't seem to be going quite as smoothly as hoped, with many fans crying foul over Bethesda selling a piece of content that already has a free counterpart on PC. But let's rewind a bit: just what is the Creation Club? In a sense, it's the quasi-successor to a business model Bethesda implemented with Valve in 2015, where Skyrim players would pay for mods via Steam. Don't recall such a thing ever happening? Well, the program was so thoroughly unpopular that Valve killed the idea just days after launching. So if you weren't on the internet that week, you might've missed the whole drama. "No. Mods will remain a free and open system where anyone can create and share what they’d like. Also, we won’t allow any existing mods to be retrofitted into Creation Club, it must all be original content... All the content is approved, curated, and taken through the full internal dev cycle; including localization, polishing, and testing. This also guarantees that all content works together." But it's that line about existing mods that has some fans riled up over Creation Club as it currently operates. One of the first items to be offered via the Club (alongside new Pip-Boys, weapons, and an admittedly funny reference to horse armor) is the Hellfire Power Armor. 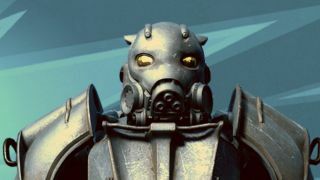 And as Twitter user JCRisner points out, there's already Hellfire Power Armor available for free via the website NexusMods and even Bethesda.net. Now, to be fair, the Hellfire armor that's available for free and the Hellfire armor from the Creation Club are not exact copies. They're both based on a suit from Fallout 3, but it's not like Bethesda lifted someone else's work and is trying to pass it off as its own. That said, the similarities are close enough for some fans to voice their displeasure. Not only that - the cost of Creation Club items is also being criticized as too high. The Hellfire Power Armor, for instance, costs 500 credits, but the smallest amount of credits a person can buy is 750 for $7.99. So while the armor itself is valued at just shy of $5, you'll have to pay at least $8 to get it. That's a far cry from the days of Fallout: New Vegas, which sold the Gun Runners Arsenal DLC (which added more than two dozen new weapons, plus weapon mods, ammo types, achievements, and a new perk) for a mere $4. "Please let the creation club just die," one user wrote on the Bethesda news post announcing Creation Club going live. "No one wants you guys to turn these beloved games into micro transaction garbage." And that's one of the nicer comments. Creation Club is a new experiment for Bethesda, and it's possible the company will turn the service around and create something everyone can enjoy. For now, though, it's clear there's room for improvement.